Star Wars: The Last Jedi 2017. Directed by Rian Johnson. 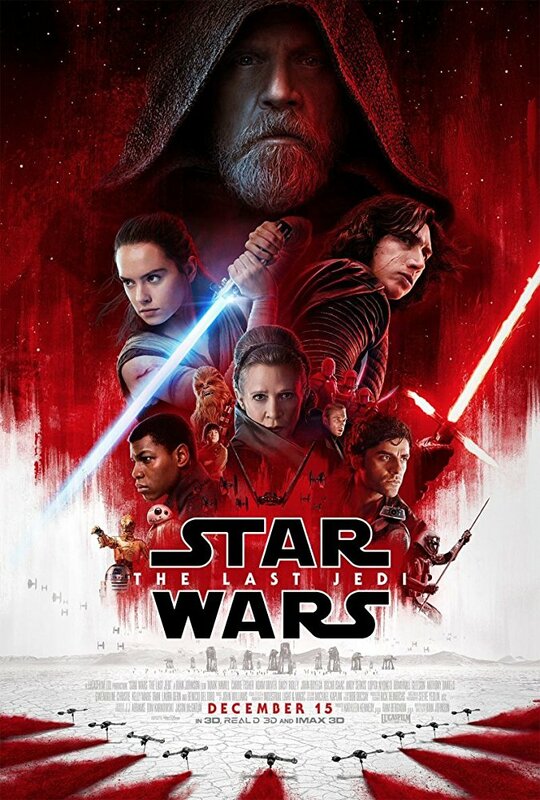 I can rarely be bothered to go to big releases in their opening week but I made an exception with this, the latest installment in the Star Wars franchise. I should say from the outset that while I like the original movies, I’m film studies scholar – not in the simpering fan-girl brigade. In fact, I’ve always felt a degree of frustration because I could always see how good these films should be but never seemed to hit the mark. Having said that, I thought The Force Awakens (2015) was infinitely better than any of the prequels and reignited my interest in the series. But this was completely eclipsed by the stand alone and beautifully self-contained Rogue One (2016), which (despite a baggy first act) is a fabulous sci-fi war movie. But Thursday I saw something really good, much better than I anticipated, and I reacted accordingly. The Last Jedi explored complex themes – in a far more nuanced way than I expected – about family, friendship, connection and the nature of difference and subversion. Given the global political climate this past 12 months, it was an excellent commentary, and a reminder that nothing is ever just black or white. The young cast are really very good, with Daisy Ridley and Adam Driver outstanding, providing emotional depth to their characters. They are ably supported by John Boyega, Oscar Isaacs and Kelly Marie Tran. Despite being a wee bit sentimental about seeing Carrie Fisher in her final role (yes, I did well up!) the thing that reduced me to tears was seeing the wonderful Laura Dern showing all the kids how it should be done – and a scene that immediately reminded me of her father Bruce Dern and Silent Running (1972), one of my favourite films. If this is what Star Wars is going to be from now on, I’ll have some more thanks!